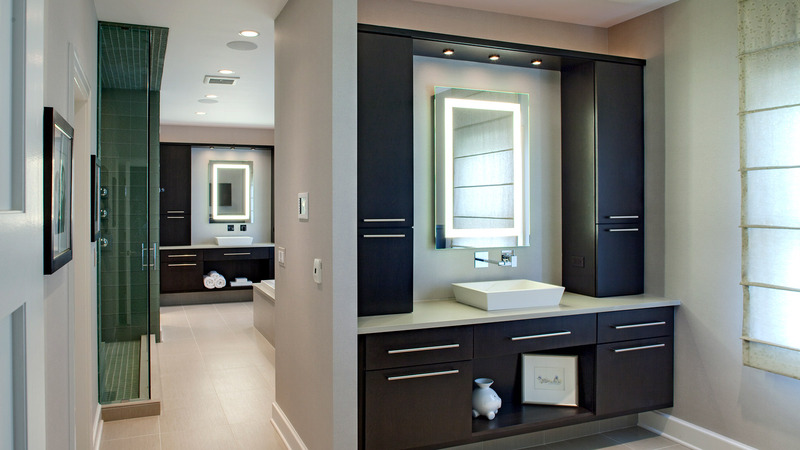 Spacious and modern, this contemporary master bath includes his and hers vanities, a soaker tub, steam shower, as well as ample storage. Deep espresso-colored cabinetry and pale green glass tile keep the space warm and inviting despite its grand size. Clean lines, careful attention to lighting and modern materials – such as square vessel sinks and wall-mounted faucets – create a sophisticated, up-to-date retreat.